A terrific choice for Cantonese cuisine, with all day dim sum and a full slate of Guangzhou faves. 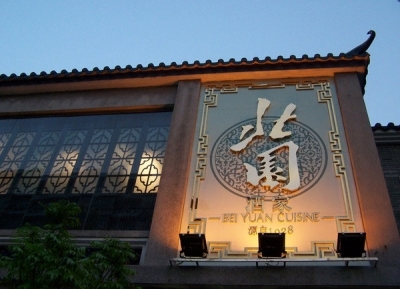 If the secret of finding a good restaurant is to eat where the locals eat, then the Bei Yuan is the ''X'' on the treasure map, with the decibels to prove it. There is a separate dining hall serving Chiu Chow cuisine from eastern Guangdong: it goes in for piquant sauces and its chefs have a famous way with goose and duck.